SCRAP ADDICT: September 2012 Scrap Addict Giveaway - Glitz Design! September 2012 Scrap Addict Giveaway - Glitz Design! Hi there - I hope you have all had a GREAT week! If not, take heart that it is the weekend starting TODAY! me no matter what & that really is the most important thing! sidebar, then come back and leave a second comment. can come and enter too! 3} You need to BE or BECOME a follower to be eligible! will be announced in the first week of October. Hi Helen! Glad you are spending some quality time with your family. Thanks for the blog candy. I am back to say that I have posted about the giveaway on the sidebar of my blog. TFS. Thank you for the chance to win some yummy candy! I feel ya girl... things haven't been going my way lately either... I sorry you are having a hard time.... Amazing giveaway!! You are always sooooooooo generous!!!!! Generous to a fault...as always Helen..hope things start going in the right direction soon! I love Glitz Design, and this prize package is awesome! You are the best! Thank you for the chance to win! Pity to hear your not at your best! I pray that things will turn around for you soon!! Life has a way of nudging us in another direction when it thinks we need to be reminded of the imporant things. When we think too much and plan too much, nothing of it happens. It's when we go with the flow that everything seems to fall in place. Spending time with your family, doing stuff just because it makes you feel good and not because you think you have to, has a marvellous way of sorting out one's priorities. Things ALWAYS turn out for the better for you Helen, just remember how incredibly blessed you are with so many things others can only dream of. You just wait and see! Mwah! thank you for the chance to win these awesome goodies! Posted the picture and link on my blog side bar. Hi! I'm a follower, and I think the giveaway looks great. I'm sorry to hear you've had a difficult few months; I hope things are going better for you! I left a link to your post, along with a brief description, on my blog! What a wonderful give away ...hope things brighten up soon for you. Сладкая, заманчивая конфета.Конечно попробую выиграть её! Helen, I have been following you and i find you in lots of scrap yards ..........lololo nice RAK, thanks for sharing the love. Hi! Great candy! Thanks for the chance! This is a super candy! 2 New Design Teams for me & Featured at Prima! 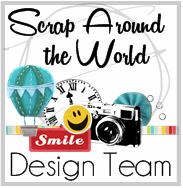 Creative Scrappers Blog Hop Giveaway Winners! September Steampunk Challenge at Berry71Bleu!